This is a malignant tumour arising from the bronchial epithelium. 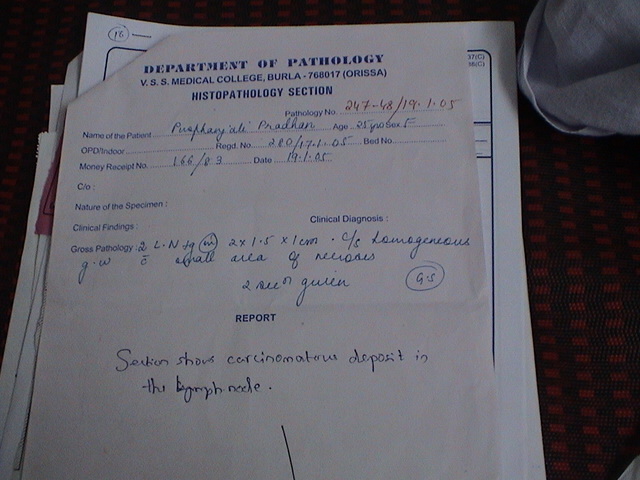 It is the commonest of all pulmonary neoplasms. It is eight times more common in males than in females between the ages of 50-70 years. Lung cancers account for 33% cancer deaths in males and 24% cancer deaths in females. smoking : Smoking of 30 cigarettes a day increases the risk of bronchial carcinoma by 30 times. Atmospheric pollution by air borne industrial carcinogens particularly chloromethyl ether. occupation : Industrial workers in the mining of radioactive ores, refining of nickel.manufacture of chromates and coal gas, and processing of arsenic and asbestos are liable to develop bronchogenic carcinoma. ionising radiation, e.g indoor radon gas, therapeutic radiation, atom bomb blast. Histologically there are four types. 2. Adenocarcinoma-30%-35%. there is controversy regarding their origin. 3. Small cell type-20%-25%. it has several subtypes of which oat cell type is commonest. 1&3 are common in males and they arise within the wall or epithelial lining of the bronchus, while 4 is equally distributed in males and females and they arise from embryonic bronchial buds. these are highly malignant. bronchioloveolar carcinoma is a type of adenocarcinoma which is a low grade carcinoma and accounts for about 2% cases of Bromchogenic Carcinoma. The tumour very soon occludes the lumen of the bronchus leading to collapse of the distal segment of the lung on which bacterial infection occurs and ultimately bronchiectasis, pneumonitis or abseess may result. the tumour may involve the bronchial wall,pleura, ribs ,intercostal nerves brachial plexus and mediastinum including mediastinal lymph nodes. Mediastinal structures.e.g. phrenic nerve, recurrent larygeal nerve, sympathetic trunk are involved, oesophagus, trachea and superior vena cava are compressed, pericardium and myocardium are also involved leading to mediastinal syndrome. Degeneration of cavity in the lung. Early lympatic and vascular invasion are also constant features of bronchogenic carcinoma so that symptoms of metastisis may first develop in some cases . 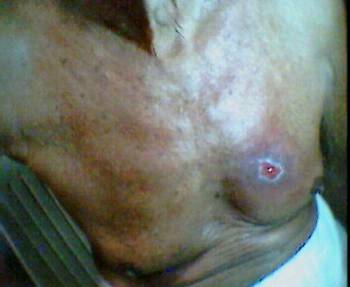 lymphatic spread occurs to the supraclavicular, mediastinal and axillary lymph nodes, pleura. Haematogenous spread occurs to liver,brain,suprarentals, bones , skin, subcutaneous tissues, kidney. Onset is insidious. Only 10%-25% patients are asymptomatic at the time of first diagnosis. a) Cough with haemoptysis(Common and characteristic), occasionally with sputum due to pneumonitis or abscess formation or bronchiectasis. b)Dyspnoea : Due to atelectasis, pleural effusion, pericardial effusion, tracheal compression, lymphangitis carcinomatosa etc. c) Hoarseness of voice : Due to reccurent laryngeal nerve paralysis may develop.Brassy cough, Gander cough, leopard Howl are also other characterstic type of cough. 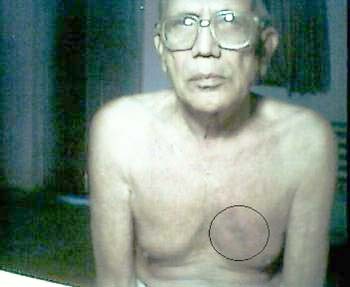 d) Chest Pain : Due to involvement of pleura. pericardium, intercostal nerves or rib destruction. e) Fever: Due to pulmonary infection. Our Homoeopathic medicine will surely increase your survival rate because our medicine directly acts on increasing immune power of our body against cancer cell..
Our Homoeopathic Medicine- can be taken with all other medicine or alone as you like. It is harmless. It is prepared from Plant. It is completely safe . No side effect , It is diluted in microns No any adverse reaction, It is very-very safe. Today fill our form send with your photographs of disease by email and get your prescription free. Hydrastis:Cancer of right lung. 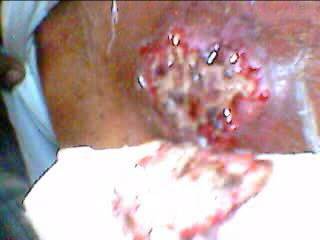 Rawness,burning in the chest with edema of lungs.Cancers hard,adherent.Skin mottled with cutting pain in the mammae.